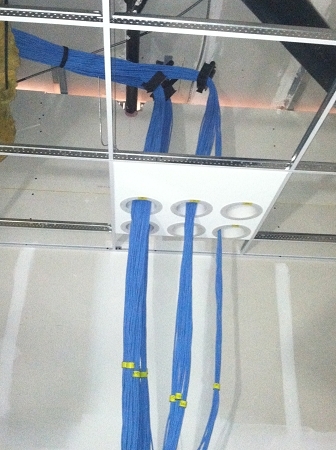 Gone are the days of your techs spending time building uni-strut structures to hold a couple of conduits over a rack to feed cable down from the plenum space. 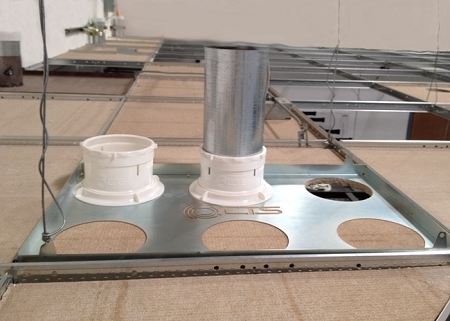 The CTS Suspended Ceiling Cable Penetration System holds a 4" conduit in place and sits above a ceiling tile so you can easily and discreetly hold up to 6 conduits in a 2' x 2' ceiling tile. Kit comes with one plate and ONE tube, additional tubes need to be ordered to fill all six holes.